2018 Forest River Forester GTS 2801QS Class C Motorhome. Featuring a Quad Slide-out Floorplan! Featuring: Premium Camping Package, Onan 4.0KW Generator, Rear/Side View Cameras, Automatic Hydraulic Leveling Jacks, Full Body Paint, Heated Remote Mirrors, iPod Dock in Radio, Extra Coach Battery, Bedroom LCD TV, 15BTU A/C w/Heat Pump, Ultra Leather Cockpit Seats and much more! This coach is brand new with an MSRP of over $119K, but we're slashing it down too low to advertise! Item #4294 DeMartini RV Sales VIN: C61377 See More Information, Large Pictures and more Motorhomes, Trailers & 5th Wheels on our website at demartinirvcom! Find us on Facebook, Twitter, Instagram & YouTube! 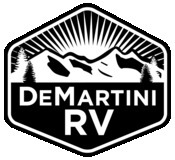 DeMartini RV has the lowest prices on in-stock and specially ordered coaches. We treat every customer with integrity, honesty, plus old-fashioned service and expertise. Our staff and management are knowledgeable and experienced, and we have a friendly, respectful sales staff - with no high pressure. Plus, if you specially order a coach from us we'll deliver it anywhere in the continental USA free of charge.